Reblogged from the Midnightsciencefictionfeature blog: an interesting post on Ryoji Ikeda and the concept of “visual music“. Some interesting visions on music, moving images, sounds and noise have graced me lately. On the one hand due to professional interest, on the other hand because of past experiences. 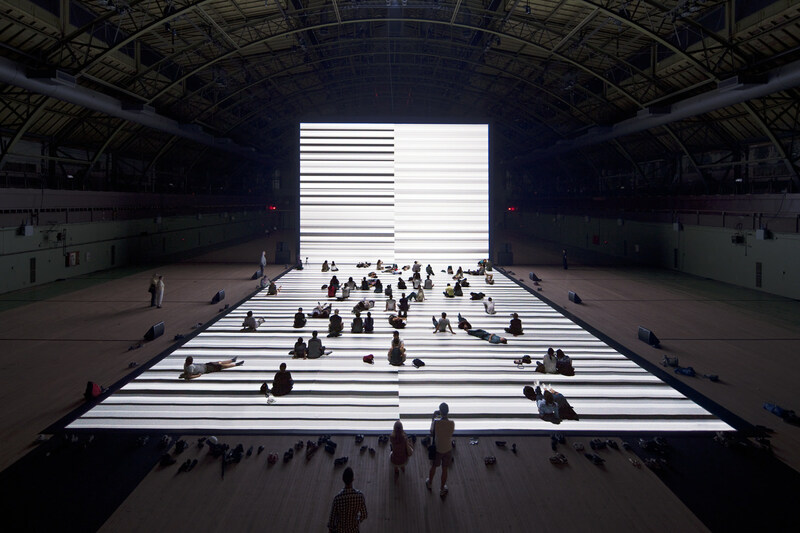 When prompted to explore the expansive field of ‘visual music’, I oncemore familiarized myself with the works of Japanese artist Ryoji Ikeda. While I was exposed to his music before, this time the focus was more on the visual aspect of his artworks, which accompany his music (or is it the other way around). The term visual music is a very broad term to describe the combination of image, sound and music, especially in an art-environment, in the form of film installations. But visual music as a concept can take many forms. I’d like to think it stems from expanded cinema. 1 Response to "Ryoji Ikeda: Exploring boundaries of cinema and music?" You have definitely eopesxd me to new artists. It is one of the few RSS feeds that I actually read (I have pared my list down to only 120 or so, most of which I just scan headlines ). Here’ s to hoping things improve. Good luck, and keep up the good work.